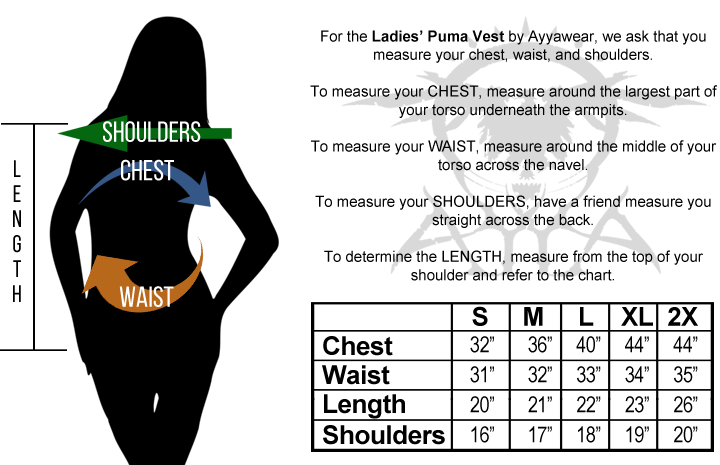 The Puma Vest 2.0 is form fitting and shorter in length than the original. Exterior made of the finest custom lamb leather, made to outlast mundane clothing. Cut ideal for a feminine form, but workable as a tailored men's garment that is short in waist length.